Wix, as we all know, is a free website builder that also has a brilliant email marketing software in the name of Wix ShoutOut. Introduced back in mid of 2014, Wix ShoutOut allow you to send and share awesomely designed emails in a matter of minutes. What can you ask from our very own Wix? Whenever I build a website or blog that require some reliability I always recommend Wix, as it not only expertise in providing you a web presence, but it also adds value to your profession. The beauty of Wix is that it has almost every other tool that is needed by a website owner. Wix ShoutOut is probably the easiest email marketing tools available out there. Small business can take leverage of its low cost and exceptional quality. Be it a sale promotion, invitation or a regular newsletter, Wix ShoutOut tool provides beautiful designs and quick solution for all. It also has excellent designer-made templates that are a must for any email marketing software. And their intuitive editor will undoubtedly capture your attention while making edits. No worries if you have little at hands, Wix ShoutOut only takes a few clicks to create, send and share emails. The mobile app is another excellent addition to the web version, where you have this always connected thing. With Wix ShoutOut, you can import contacts from multiple sources like CSV files, Gmail Contacts in a very straightforward manner. You will never have to encounter the code when you are using their newsletter tool. Another addition to Wix was WixHive API, which can provide you data about click-through rates, views and open rates, making Wix ShoutOut a highly creative tool for SMB’s. The need for a newsletter is undeniable. Newsletters are one of the best ways to share the news with your audience, it motivates, retain and keep clients engaged with your brand. The feature of having all the images on your Wix website to Wix ShoutOut also help in maintaining brand styles and similar aura. You can also copy old campaign designs and create a new campaign with similar style and content, making it easy to change and modify the old text, image and videos. Wix ShoutOut also allows you to add social profile buttons like Facebook, Twitter making it easy for your subscribers to get connected with different social media channels. Intuitive Editor – Wix ShoutOut comes with an intuitive editor that allow you to add your own logo, text, background, images and more, so that you can personalize your newsletter according to your needs. Plus you also have beautiful email templates that you can use quickly. Custom Signup Form – You can add signup forms and increase your customer base with ease. Every ShoutOut can have your signup forms from where people can join your mailing list. It’s fun to see how much subscribers can help you build your business. Seamless contact integration – Contacts can be imported in a matter of seconds in your Wix ShoutOut, you can easily create groups and send targeted emails to different people. Social media tools – With social media tools you can share those emails and turn those messages to Facebook Ads. Which means you can market your emails on social media sites. Detailed Stats – After you send your newsletters to your audience and subscribers, you can track various aspects like open rates, click rates, ShoutOuts and more. This will give you an idea about your subscriber behaviour. Responsive Design – Email newsletters that you send via Wix ShoutOut will automatically be responsive, which means no problem if your subscriber has a desktop, laptop or a mobile. All of them can see your newsletter in a proper way. Email Templates for Every Message Whether you’re a realtor, florist, event planner, store owner or educator, we have the right newsletter template for you. These templates can announce a sale, tell special offers, promotions and even telling you to about discounts. You can also promote your events, show or converts and for those cute event invitation, you will be surprised how people get attracted towards your work. Aren’t they beautiful? I love them. These are the type of designs every email newsletter sender would love to have. Finally, we want you to look tell you about their current pricing, which is again pretty affordable and appropriate regarding the competition. And here are their mobile apps that can give you access to email newsletter on the go. 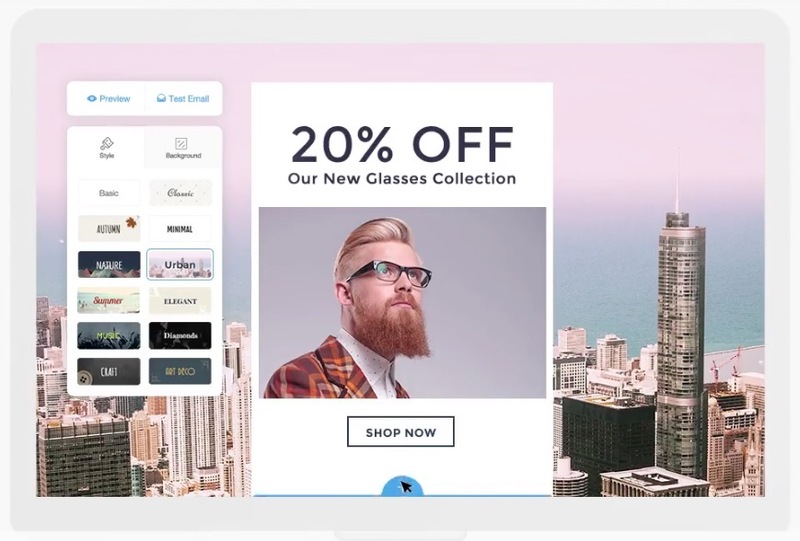 The biggest benefit of Wix ShoutOut is its simplicity and the ease of use, you don’t have to write a single piece of code to send a newsletter to your clients or users. Although I would not consider this a downside, but still I would like to see a feature where Wix ShoutOut newsletter can show you the source code or the html code for a particular mailer. Do tell us your experience, if you have used Wix ShoutOut before, we would love to hear about your reviews on this excellent email newsletter software. SHoutout is great until you want a copy of your email database. Wix doesnot tell you how to retrieve it. Does anyone know how? I have searched all the features and texh support files but they just tell how easy it is to import but not export.